Secure Digital (SD) card is a non-volatile memory card developed by the SD Card Association (SDA). SD cards provide the most convenient mode for data storage and retrieval at high speed. It is no wonder that they are now present in almost every electronic device. What are the types and sizes of SD Cards? Secure Digital Standard Capacity (SDSC) - Up to 2 GB capacity, use FAT 12 and 16 file systems. Secure Digital High-Capacity (SDHC) - Over 2 GB and up to 32 GB capacity, use a FAT32 file system. Secure Digital Extended Capacity (SDXC) - Over 32 GB and up to 2TB capacity, use the exFAT file system. Secure Digital Ultra-Capacity (SDUC) - Over 2 TB and up to 128 TB capacity, use the exFAT file system. Secure Digital which combines input/output - Function with data storage (SDIO). What are the different speed classes for different SD cards? Depending on the manufacturer and brand, memory cards can have many different memory access speeds. 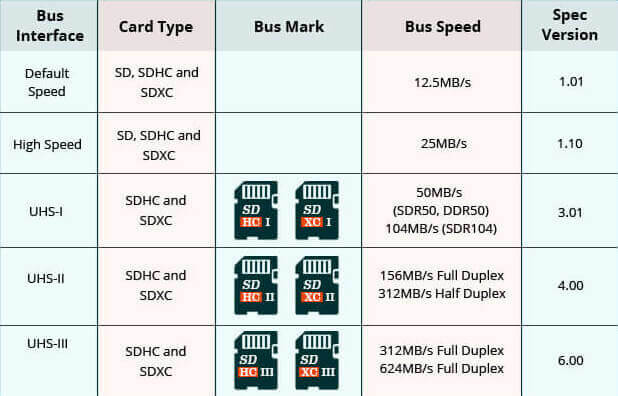 The SDA defined various speed-class standards to help users decide which SD card will be the best fit for their requirements. All these classes have a number to show smallest writing speed. This is also useful for camcorders, video recorders, and other devices with video recording capabilities. What is a Bus and an Ultra High Speed (UHS) Bus? A bus is a way of communicating between a device's internal or external component and its CPU and main memory. A bus is an important factor to consider while selecting an SD card. It affects the speed of the SD card. A few years back, a default speed of 12.5 MB/s was the standard. Also, with the advances in technology and demand for higher speeds to support new and faster devices, even a high-speed bus interface with 25 MB/s is not enough. A newer, faster, bus interface called Ultra High Speed (UHS). And it is introduced for SD cards with higher capacities SDHC, SDXC, and SDUC. UHS-I - Ultra High-Speed Phase I cards provide faster bus speed using only one set of pins. First introduced in 2010, it can support the largest bus speed of 104 MB/s. UHS-II - Ultra High-Speed Phase II cards provide a bus speed three times faster than that in UHS-I cards, using two sets of pins. It introduced these in 2011 and can support the largest bus speed of 312 MB/s. UHS-III - Ultra High-Speed Phase III provides the fastest bus speed using two sets of pins. Released in 2017, it can support the largest bus speed of 624 MB/s. The physical interface and pin-layout are the same as with UHS-II to backward compatibility. SD cards are tiny, delicate pieces of storage devices and can get damaged, if not handled with care. They should be kept in cases when stored outside the device and care must be taken when inserting and removing them from the device. SD cards, like other storage devices, will develop bad sectors with age. Over a period, the area with bad sectors will increase, and one day the entire card will be damaged. So, Bad sectors can happen due to removing the card in unsafe mode. Removing the SD card from the camera or smartphone without turning off the device, etc. If you are formatting the SD card, make sure you take utmost care while doing it and ensure an error-free formatting process. If there are any interruptions while formatting the card or if the process is done incorrectly, the card may get damaged. Unfortunately, in this case, the data can't be recovered, and the card can't be re-formatted. If you download any malware program, it may cause a virus attack. The attack can corrupt the data such as compressing the files from a few MBs to a few KBs. It may also make the SD card inaccessible. All storage devices stores information based on their respective file systems. If there are any damages in the file system of the SD card, then probably you will end up with your data. In this case, you should use the file system repair utilities to fix the issue. It is advisable to protect your SD Card from moisture as well as excessive heat. If the SDcard is having a lot of dust, moisture or excessive heat, then it will not perform well. You may end up with a broken or dead SD card. If it is exposed to electrostatic discharge, the SD card will get damaged. For reading the data from an SD card, the card slot also needs to function well. If there is any damage to the SD card slot, you won't be able to read the data. Hence, to make sure that is not the case, try inserting the SD card in other slot or device for further check. There are many brands of SD cards on the market. So, be careful while buying the cards to ensure avoiding the ones which may have manufacturing defects. You cannot format the disk before you can use it. You need to format the disk before you can use it. File is missing or unread files. SD card failures such as a corrupted card due to virus attack, deleted or formatted data come under logical failures. For such failures, you can’t see your data, but a data recovery software can safely recover data from all logical failures. SD card is not initialized. Windows was unable to complete the Format” Error on USB and Memory Card. SD Card with Fatal Errors. CF Card “Not Formatted” Error. I/O Device Error on SD Memory Card. The card is “write protected” error message. SD card won’t mount error. SD card is damaged try reformatting. SD Card Is Blank or Has Unsupported File System. SD card is not detected. 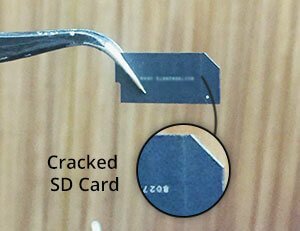 For undetected and physically damaged SD cards, data recovery is challenging. It requires specialized equipment, domain knowledge, as well as skills. 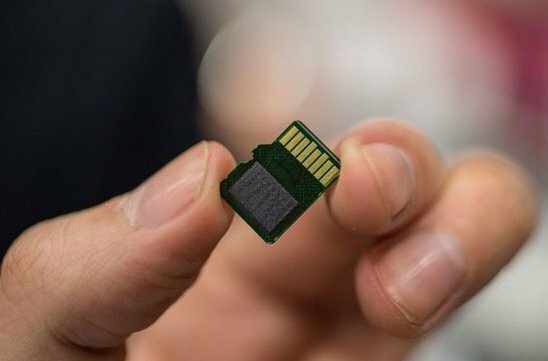 For example, to recover the data from a damaged SD card, it might be necessary to open the flash card and recover the data from the chip using an adapter. This can be difficult, and only a skilled technician equipped with appropriate tools and experience should perform it. 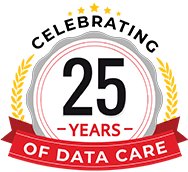 Just like you would go to a doctor to cure your illness, availing professional data recovery services would be the smart choice for physical failures. 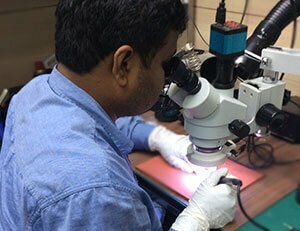 In addition to a team of domain experts, skilled technicians, and needed tools, data recovery service providers have the experience to perform recovery operations. At Stellar, we use cutting-edge technologies to recover data from all makes and models of SD cards. We take proper precautions to clone the SD card in case anything goes wrong during the recovery process. File or Directory is unreadable. SD Memory card becomes slow - Due to virus attack and too many bad sectors on SD Card. How to prevent data loss from SD card? Backup the data from the SD card to another device so in the case of SD card failure, you can easily recover the lost data. Use anti-virus software to protect your device including SD card from malware attacks. Never remove the SD card from your phone while saving or viewing a photograph. Keep your card in a dry and dust free place. Buy good quality SD cards from trusted brands. Never change the SD card when the camera is on. Also, use one card on one device only. Above all, data loss due to SD card failure is very common today. If you are facing a data loss situation, you will find that the internet is full of many data recovery software. But the best option is to contact a trained data recovery service provider. Due to the lack of domain knowledge and skills, any DIY option may damage the card further thus reducing the chances of recovery. 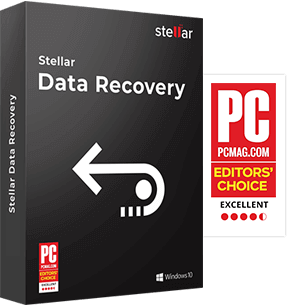 As a professional service provider, Stellar Data Recovery boasts of a team of recovery specialists, ISO standard infrastructure, cutting-edge technology, and a proven recovery process to safeguard your data during recovery. We guarantee upto 100% recovery and follow a 'No Recovery No Charge' policy.